Opened for business in September 1925, the Gold Spot Marketing Center is one of the first, and remaining, neighborhood shopping centers built to serve a residential area. Mixing Spanish Colonial and Mission Revival architectural styles, the building featured richly textured materials with decorative details and prominent curvilinear parapets. A casualty of inner‐city decline, the Gold Spot had been vacant since 1983. 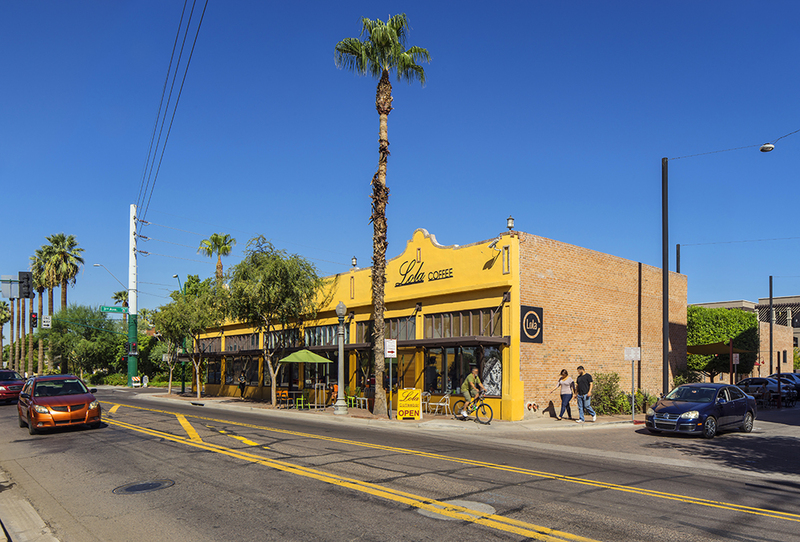 Desert Viking purchased the Historic Gold Spot in 2001 to enable a complete restoration, returning this early shopping center (located in the heart of the Roosevelt Historic District) to community use. A new steel structure was added to support new trusses and roof as well as re‐pointed and repaired brickwork and a reconstructed facade. 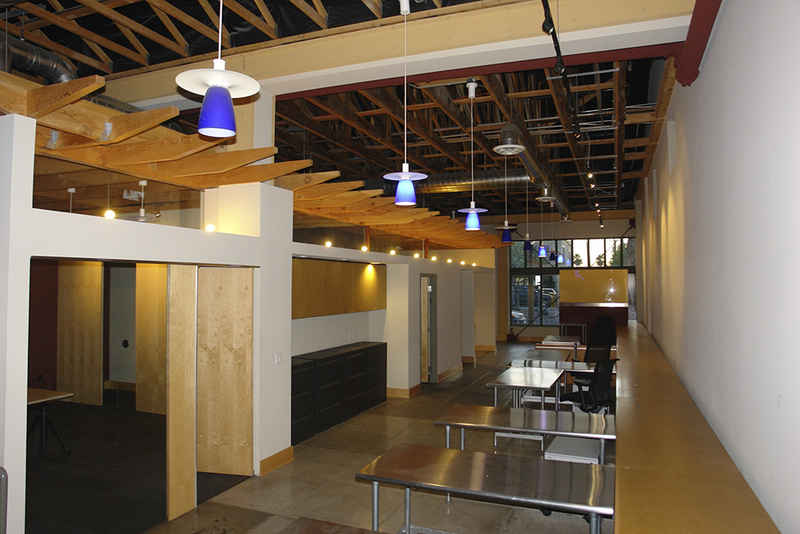 All new building services and a restoration of the original courtyard ready this historic building for business. 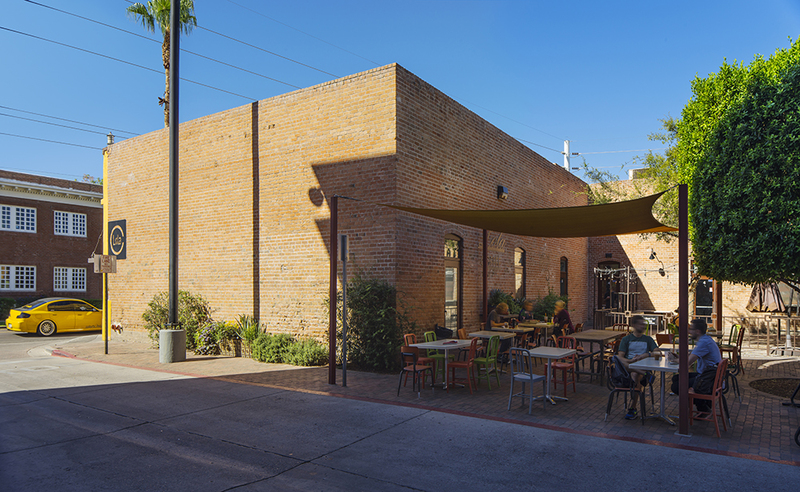 This project was nominated for the 2004 Governor’s Heritage Preservation Award by the City of Phoenix Historic Preservation Office. The building is listed in the National Register of Historic Places A competition to rename the building selected the Gold Spot Marketing Center as a winner in 2003.